1. Have them memorize important contact information. Most young children know to call 911 in an emergency but do they really know what that means? It is important to show them if they are using a smart phone, how to unlock the phone, how to get to the phone screen and how to make the phone call. *be careful that they don't really call them during practice because you don't want to tie up their lines for a non-emergency. Make sure the children also know what constitutes an emergency. Also teach them what to say. Look here for roll play ideas. 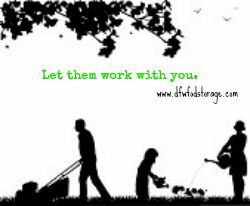 Teach them by working side by side, in the garden or other age appropriate responsibilities around the house. Teach them fire safety and if they are old enough, how to start their own fire with a magnesium stick. While the ideal situation in the event of an emergency or disaster is that you’ll be able to remain in your home, this might not always be feasible, especially if you are evacuated from your area. In this case, you and your family could find yourselves having to walk or ride a bike to reach a safe place. 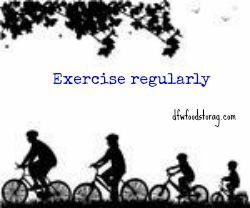 So being physically fit is an important part of preparedness, in addition to creating an overall state of good health and well-being. 4. 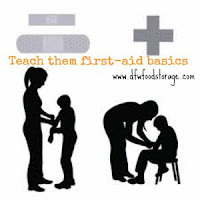 Teach them first-aid basics. Emergency survival kits save lives when injuries occur. 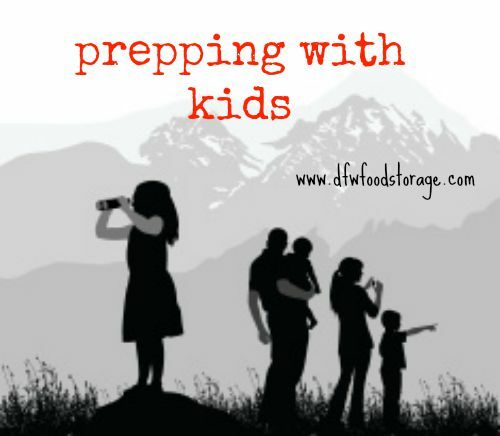 Even at a young age, your child needs to know how to use these tools for their protection. *check with your city to see what courses are provided. Our local city fire department offers free courses on basic first aid, outdoor safety, severe weather safety, home and life safety and more. We are putting together a group order for First Aid kits this month. If you want detailed information about the different kits we are offering go here and for an order form go here.